The Austin Standard was designed for groups wanting to stay in a central downtown location. 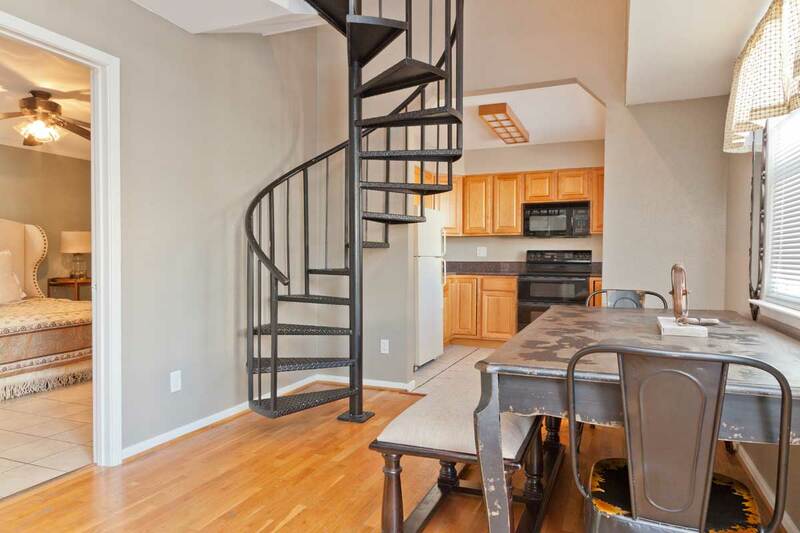 With a full kitchen, four bedrooms, three bathrooms, and plenty of living space across two levels, this condo provides an affordable solution in lieu of renting multiple hotel rooms. This unit features accommodations for up to 12 guests (one king, four queen beds, and two twin-sized air mattresses), central air and heat, a full-sized washer and dryer, a balcony with views of the Frost Tower, free cable television, free wireless internet access, free parking (for 1 car) wood burning fireplace, and plush furnishings. We are setting the new Austin Standard with this space, and we welcome your group to come and visit. We had a great experience at the Downtown Austin Luxury! Eight girls stayed in this sunny and funky apartment in the heart of Austin. The location was amazing – close to lots of things, and easy to get cars to other parts of the city. The Starbucks across the street was key. The lack of keys to get into the house (codes only) was helpful with our large group. I worked with Jared mostly, who was incredibly warm and welcoming, and accommodating: he met us upon arrival and took our bags (we arrived before check-in), brought them up to the house, allowed a late check out, and helped us find the bus back to the airport. He really made us feel welcome and like he would help us with anything we needed. The house was freshly cleaned upon our arrival and we loved staying there! My stay was perfect. We loved the house and the location could not get any better. It is walking distance to Rainey Street, 6th Street, hiking trails, the capital and has the Capital Metro airport bus stop at its front door. The home was spotless and Ryan was always available to answer any questions we had about the home or the city. Stop searching for another place to stay and book this home. You won’t regret it. This place was great and was exactly what we needed for our weekend in Austin! The location was perfect, right downtown, and having an electronic door lock was very convenient for the group. We worked with Thomas during our stay and he was really nice, very helpful, and accommodating. He let us keep our bags in an office until our unit was ready, which was really helpful considering some of us flew in hours before the check in time . Overall, we had a great time in Austin and feel very fortunate to have stayed at such a great place! The hosts were very responsive and accommodating, and allowed us to check in early. The welcoming email had all of the apartment information that we needed. It also had a bunch of recommendations and suggestions for things to do around Austin, which was a great touch. The apartment was spacious and clean, in an amazing location. There was a bit of an issue with hot water, but nothing that would stop my friends and I from re-booking this apartment. Celebrated my sisters engagement with a total of 9 ladies! Ryan and his business partner Thomas were great hosts. Though both offered their services whenever needed, we were able to navigate the property pretty well. The condo itself was gorgeous! Perfect for 9 but would have easily accommodated 2-3 more! Large space, comfortable beds, and full equipped bathrooms. Only complaint is that water was cold after 1-2 showers and with 9 made it brutal for the remaining. 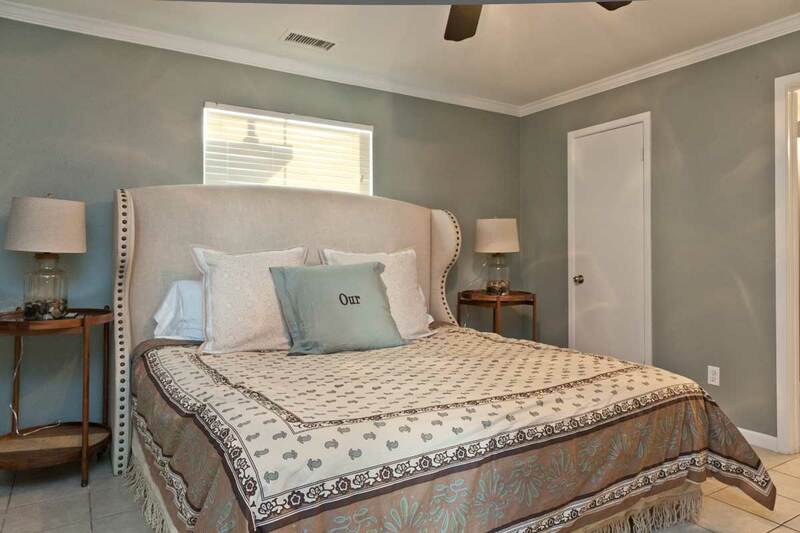 The property is on 4th and conveniently located in very short walking distance to everything! We used Uber and Lyft to get around town for areas outside of 6th street but spent most of our time on 6th and its surroundings. I highly recommend this property for prime location, amenities, and wonderful hosts! I booked this place for a cohort of coworkers who were attending a conference down the street. The apartments were well appointed and very comfortably furnished, and the owner was fantastic about allowing for flexible checkin. The one complaint we had was noise from the street, but that was an issue of proximity to popular bars than it was a defect of the apartment. We’d stay again, and I would recommend this spot. Ryan and his staff were very attentive to any concerns we had. This is a unique place, as is the entire condo complex. It is right in the middle of everything, surrounded by hotels, bars and restaurants. We could not have been happier with the location and the hospitality provided by Ryan and his staff. Take the bus from the airport and forget about getting a rental car. You will not need it because Ryan’s condo is right in the middle of everything. We were at this location for four nights and it was great. Ryan was a great host. He was very communicative in advance of our stay and the instructions on how to access the unit and work everything inside were very detailed. The location of the unit is fantastic. We walked most everywhere we went for dinner and entertainment. We also had a car and the parking spot was a plus. Despite being right in the center of everything the unit was not noisy. Everything in the apartment was comfortable and well appointed. The only negative is that the common area was a little small for hanging out. We checked out the swimming pool in the complex but didn’t use it as it was small and not that inviting a place to hang out. Unfortunately one of the three bathrooms in the unit was out of service due to a plumbing issue that could not be fixed before we arrived. Ryan made it up to us by giving us a credit and was very responsive and understanding. This was my first experience using an airbnb. Let me say that they know what they are doing! The place was beautiful. My girls and I had a wonderful time. The crew at the Standard was incredibly accomidating, respectful, and kind. They were incredibly helpful, and quick to assist with anything I needed. Check in/out, parking, adventure, anything you needed! Thank you for helping make this trip a wonderful experience for all of us! The place was perfectly located in the heart of downtown! I have very high standards from now on! The place was great! 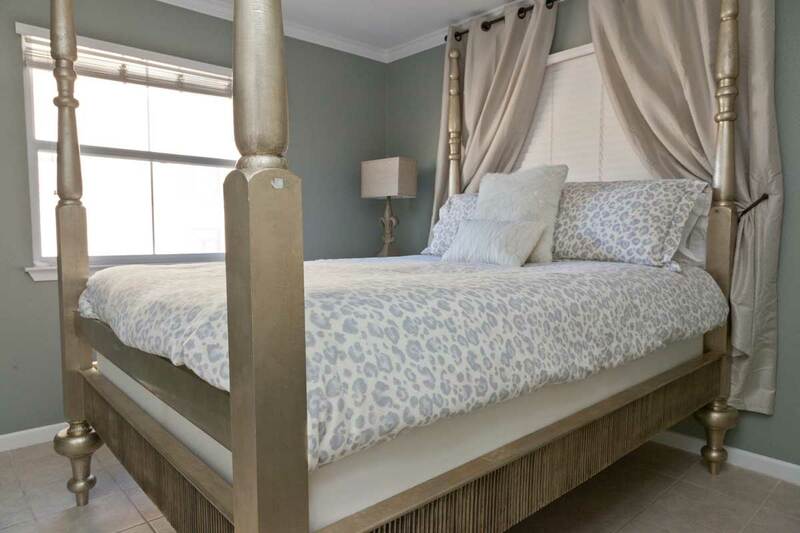 Fantastic location, very comfortable, and couldn’t have been easier to navigate from. We had absolutely no problems and everything was as described. Ryan and the staff were great! Ryan was fantastic during our stay! The loft was perfect for a group of girls in Austin celebrating a bachelorette party. It was clean and comfortable and the location couldn’t have been better. I would highly recommend staying here for a trip to Austin! Ryan was a fantastic host! We just came back from Austin where we were celebrating a friend’s bachelorette party. From the first time I contacted him he could not have been more helpful and responsive. It made the whole planning process very easy on my end. The condo itself was very nice, clean and in a great location. We could pretty much walk to everywhere we had planned to go. There was also more than enough space for a group of 12 people. If I ever go back to Austin I will definitely stay either here or another one of Ryan’s properties! The flat was very comfortable and suited us well for the purpose of our stay. We felt very welcome and the flat was clean and tidy. Thanks for hosting us Ryan. Brilliant apartment and very centrally located. I really couldn’t recommend it more. Ryan was a brilliant host and helped us with all our needs as well as providing all the information we could ever need for staying in Austin. Perfect place for a big group of people near 6th Street. Ryan was very accommodating: we asked to arrive early the day before and, even though it was last-minute, were allowed to check-in early. Everything in the condo was clean and new. Small touches like toiletries, ice and strong AC made this place even better. Would highly recommend! We felt so at home staying at this amazing condo. It was a great location and the lock system was easy for a large group. Also, tons of beds and the three bathrooms were helpful with 12 girls! The location was perfect, we were able to walk to the bars, restaurants, and the river. The pool on the property is really small though so I would not plan to really hang out there unless you are by yourself. Overall two thumbs up! Immaculate place just as described. Perfect location. Superb communication. It shows he is an Airbnb Superhost! All around excellent Airbnb experience!!! Ryan was a great host. He always responded quickly and gave great directions and suggestions. Check-in was a breeze. We had a party of 10 of us staying at the place and you cannot pick a better location in downtown Austin. 2 blocks from the central part of 6th Street and a less than 15 min walk from Rainey St. Place was spacious even for 10 ppl. Beds were comfortable, especially the king in the master bedroom. Showers were stocked with shampoo/soap. We are already making plans to book this place again next year! I booked the Downtown Austin Luxury loft for my brother’s bachelor party, and it was the perfect choice. The loft is just as awesome as it appears in the listing and it is walking distance from all the best bars / restaurants. We had a small group (only 6 people), but the loft could very comfortably sleep up to 12. Most importantly, Ryan and his team (Thomas, Jared) were incredibly welcoming and flexible in terms of check-in / check-out and bag storage. This is a very spacious unit that will make any group of travelers feel right at home. We stayed here with a group and absolutely loved the layout and decor! The location of the unit put us right in the heart of downtown Austin which gave us plenty of time to explore the city. Ryan was a great host and checked on us throughout our stay. Highly recommended place and host. Great place and location, highly recommended. Ryan’s place was pretty sweet! Across the street from Starbucks and 2 blocks from 6th street you can’t go wrong with this one. Ton’s of space inside and a pretty cool loft area with bedroom upstairs. Would definitely stay again! 10 Stars! Great location and really nice apartment. From the moment I booked the room, Ryan was very communicative and open about what to expect, how to contact him, and even went above and beyond to make sure my trip was an enjoyable one. Plenty of small things such as extra linens, backup supplies of paper towels, and neatly organized utensils really showed his experience as a rental manager. There was plenty of space in all the rooms and we never felt crowded. Great stay and great host. Amazing place and in the perfect location. Spacious and having three bathrooms was great. Will definitely stay here next time I’m in Austin with a group. This place was great! Everyone was so accommodating and it never seemed crowded with a large group in there. Very cool furniture and ambiance. Loved it! We had an amazing time at the airbnb! The pictures do not give the space justice! It was a perfect location to explore Austin. Ryan and his team were very responsive and nice to us. We would definitely recommend and hope to come back and stay some day! Also, the parking space was key! Very nice place overall, enough sleeping space for the 9 people in our group. Best part is the 2 minute walk to anything that you could want to do downtown. Awesome location. My family and I loved calling this spot “home” for our few days in Austin! It was perfect for our group of 9. The welcome e-mail had a ton of great detailed information. The location is amazing as well, walking distance to so many great spots. Ryan and Thomas were responsive leading up to the dates of our stay and during. I hope future ones are just as great! Great location and space, loved it! Looks just like the pictures. Ryan was a great host, he left perfect instructions and we had zero complaints about our stay and accommodations. There was a car parked in the space provided for the apartment, but we received a quick response back and was given another space to park in the meantime. The apartment was very nice and larger than expected from the pictures. I would recommend Ryan as a host and would stay at another one of his Airbnb’s in the future. Thanks again! Amazing place in the heart of downtown Austin!! Rented the place for my friend’s bachelorette and it was very spacious, clean, and well decorated! The location is perfect to be able to walk around downtown. Ryan and Thomas were extremely responsive and helpful! The listing was very accurate. The accommodations were as described and the information provided for our stay was very helpful. We really enjoyed our stay. It was easy, comfortable, and way better than a hotel! This apartment was perfect for our 10 person girls weekend in Austin! It was clean and spacious, fitting our group comfortably. 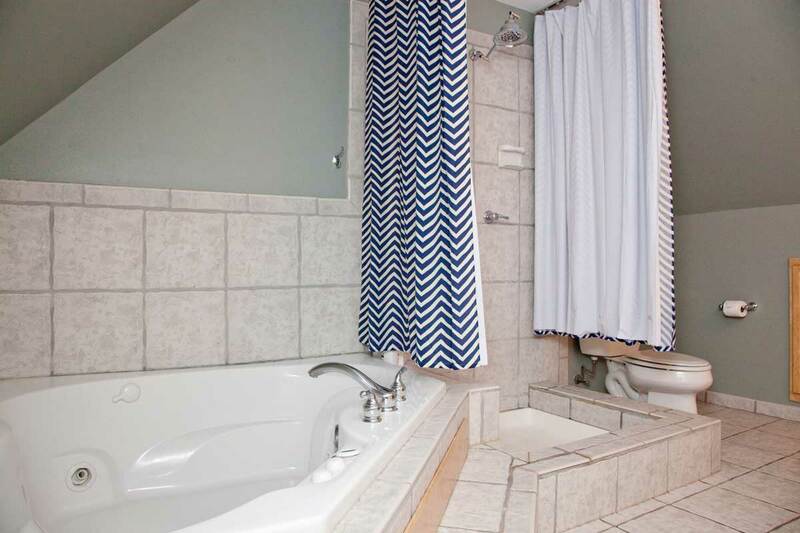 It was nice to have 3 full baths to use and TVs in every bedroom. It was also great to have no keys to deal with, just codes for the gate and door making it really easy for all of us to come and go when we wanted to. The location of the was perfect with grocery stores, restaurants, and Sixth street nearby. Starbucks right across the street was a great bonus! Ryan and Thomas were excellent hosts! Easy to communicate with, provided tons of information about Austin, detailed directions to the apartment, and overall they were very accommodating and flexible. We got stuck in Austin for two extra days because of a blizzard where we’re from and we were able to quickly and easily extend our stay without any problem. Highly recommend! 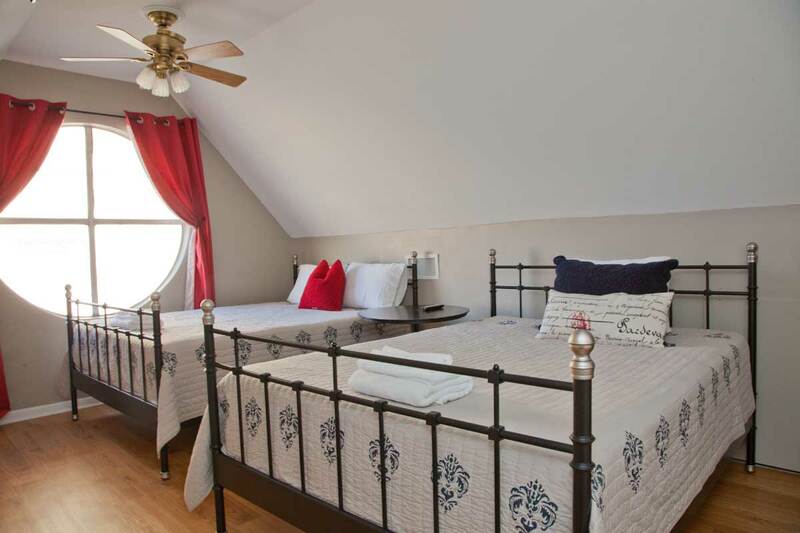 The loft was perfect – great location within walking distance to everything in downtown Austin! Clean and spacious as well. Ryan was awesome – super responsive and quick to help in every way. We had everything we needed from the very first email he sent after booking. You’re in good hands here! This place is great! 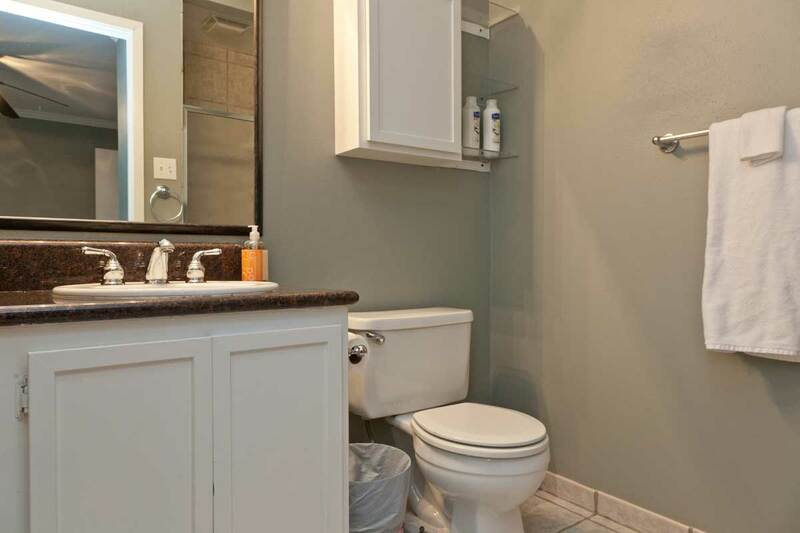 The location is exactly what you want in downtown Austin. The pictures are exactly what you can expect. The host gives you all the information to check in/out and some extra info about things to do in Austin. This place is amazing for a group or large family. We had a great time and really enjoyed saying here. It was comfortable and we were all able to relax and have fun together. I had an amazing experience. The house was spacious, clean and in a perfect location. Our experience was absolutely fantastic. Ryan and his associate were always immediately reachable by e-mail and phone whenever we had questions. The house is great and was perfect for our 10 ppl party. Location is also great: only a couple of minutes away on foot from 6th ave. Only (minor) improvement: Wifi connection tends to be really slow when 10 ppl are using it. Wonderful apartment, very spacious for our group of 8. Ryan was also very helpful in giving us suggestions to food and drinks. The process as a whole for this property was incredibly simple. Easy to follow guidelines were emailed, communication was prompt, the building was simple to navigate and the property looked like the photos provided. The property was very clean and in a walkable area in downtown to anything you could possibly need. Unfortunately, it was WAY too loud for us. If you are looking for a place to get a good nights sleep, I would not recommend here. It is in an ideal location to walk the city (which we loved) but there is no sound proofing in those walls and expect to hear drunk people, yelling, fights, singing, car blasting and everything else imaginable until after 3 am when everyone stumbles home. And we stayed during the weekdays (Mon-Fri)! We wish when we mentioned we had a child with us that the noise level would have been mentioned, because none of us got good sleep all week. There is only one room that does not have a wall that faces the street. But if you are looking for a vacation spot where you stay out until 3 am anyways, this place is really great!! Also, the wifi is very spotty so don’t anticipate getting any work done quickly or streaming videos. If I came back to Austin with friends, I would absolutely rent from Ryan again! But for work, it wasn’t the best match. I only write this so that other people who have children with them get a heads up! Everything else was great, thank you for having us. The host was great. His communication was excellent and checking in was a breeze. The location was amazing. We couldn’t have asked for much more. Would highly recommend if you have a large group of people. This is an awesome property right in the heart of downtown Austin. So that mkaes it very easy to get around whether you are walking, taking a bus or taxi. The pictures show everything very well. It was perfect for our group of 8. When we arrived a little early Thomas was there in a couple minutes to let us in. Any time I called him with a question he was so helpful and prompt. We loved our Airbnb stay in unit #313! It was the best! Ryan and his property manager, Thomas, were incredibly prompt and responsive with any questions that I had prior to this trip. The spaces were perfect for a weekend away with a group of girlfriends. Convenient, clean and stylish! The location couldn’t be better for getting around downtown Austin. Shops, restaurants, bars and workout classes were all within an arm’s reach. We loved our time and stay here at Ryan’s apartment! great location. the home was extremely clean and perfectly setup for our group. thank you ryan! this was a great spot! we had a girls trip and this was the perfect condo and perfect location to walk everywhere. 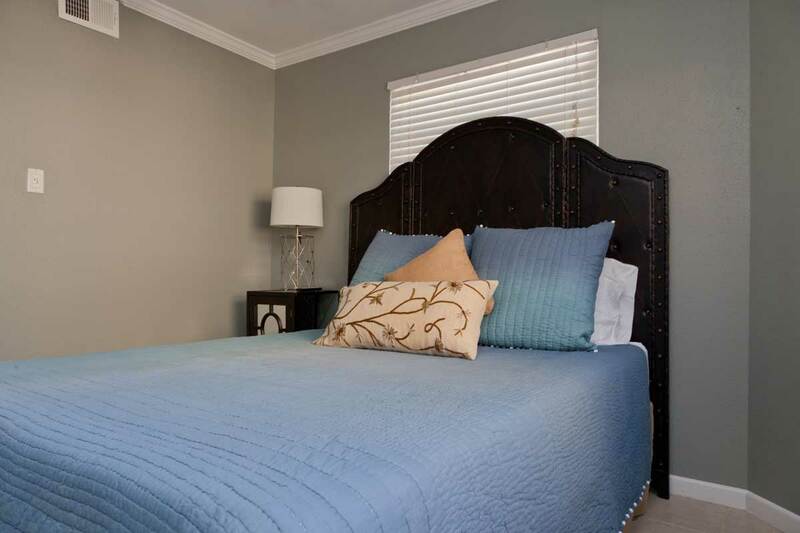 the beds are all comfy, the unit is extremely clean and all directions/instructions given beforehand were very helpful. the hosts were more than accommodating and would definitely recommend this listing to friends or stay here again when we go back to Austin. thanks so much! A group of 6 stayed here over the New Year holiday and we all really enjoyed our stay. The location is great and the apartment has everything you need. The description is 100% accurate. We had a couple questions for Thomas while we were visiting, and he was super helpful and responded to our inquiries immediately. A plumbing issue was literally resolved within an hour of notifying him (on New Year’s Eve!). Thanks Thomas and Jared! This is a great place for a group and it ends up being much more economical than booking individual hotel rooms. My family and I (7 adults and 1 baby) stayed in this condo for 4 nights over the holidays. The location really can’t be beat! You are in walking distance of so many restaurants and bars. There is a PF Changs and Uncle Julio’s literally right down the block. 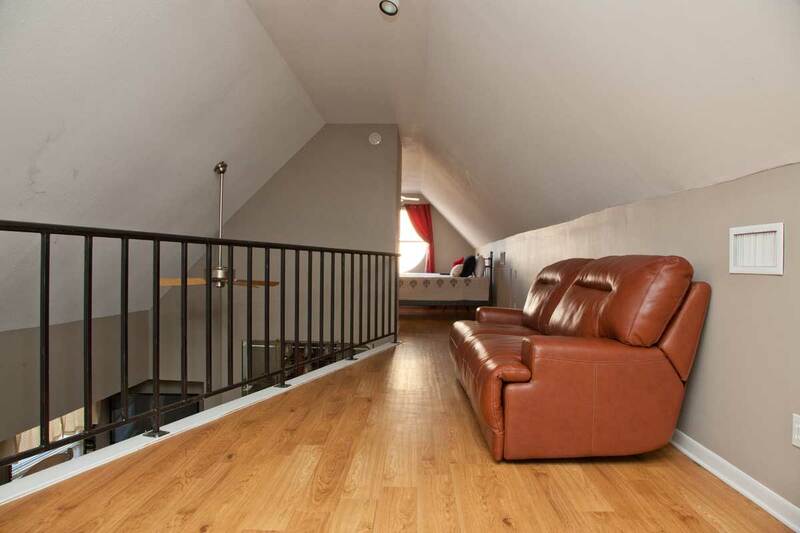 There are basically 4 rooms because the loft space upstairs with the 2 beds is a huge space! All the beds were super comfortable and they had plenty of extra towels and linens. The parking space is right at the bottom of the stairs which was very convenient. Communication was excellent! The only downside was very slow wifi. Would definitely stay here again though and recommended this place to anyone thinking of staying in Austin! Ryan provided in-depth details and was very accomodating. Great location and a great place to stay. I will definitely recommend this place to anyone. Ryan was easy to communicate with and gave excellent directions about how to access the condo. It was huge, clean and had everything we needed. The location was great! It is also easy to enter and exit as we just used a code for everything. A group of 8 of us rented Ryan’s place out for a bachelorette party. The location could not have been more perfect. We didn’t have to take a cab once the entire weekend and had it not been raining we wouldn’t have even used our cars! There was PLENTY of room for all of us to sleep and get ready. The hosts were very responsive and available. What a fantastic experience!! Just got back from a five week trip across the states and Austin was definitely a highlight. Ryan was incredibly kind, prompt and helpful with all aspects of the apartment and really helped to make sure that our group had a great time. Really wonderful place right in the heart of Austin. Cannot recommend it enough. Thanks so much to Ryan for having us and hope that others get to enjoy their time there as much as our group did!!! Thanks Ryan!!! GREAT location for our downtown needs…. able to walk EVERYWHERE. The unit was exactly as described/pictured. 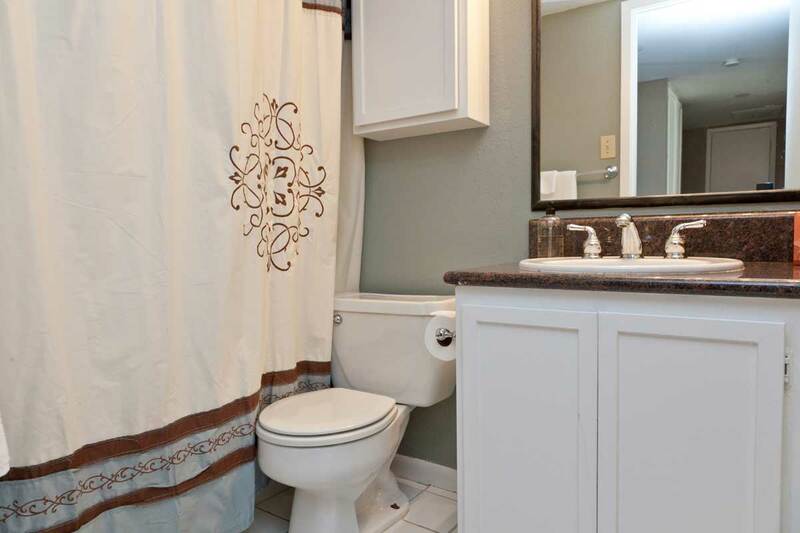 Clean with all the necessary amenities. The standard is the perfect location in Austin, close enough to be able to walk to the all the bars and restaurants without being too close to the noise. The apartment was fantastic, plenty of room for all of us. Ryan provides the necessary toiletries and laundry detergent. Ryan was a great host, always available to answer any questions. One of the reasons we chose the standard was because of the pool, unfortunately the pool does not get sun in October but there were plenty of outdoor spaces in the city to go to relax. I would recommend the standard to anyone going to Austin! Extremely organized and made the group feel very welcome. We will stay at any of Ryan’s properties again! Highly recommended! Our stay at the Austin Luxury Standard was stellar and working with both Ryan and Thomas was an absolute delight from the moment we booked all the way through check-out! The space was spacious yet felt extremely cozy and is perfect for a group. The condo is set-up much more like a hotel and they provide an ample number of towels, kitchenware, and more for use, which gave us the opportunity to stay in for breakfast when we weren’t out for great Austin BBQ. The condo’s location is hard to beat as well! We walked to most attractions throughout the weekend – whether it was to take a bat cruise across the river or to head out for dinner/drinks on 6th street. At the same time, the availability of a parking space meant it was easy to have a car to take on longer trips outside of Downtown Austin as well. Ryan also provided a plethora of suggestions for local dining, entertainment, and more – which helped to really supplement or even confirm some of our own choices throughout the weekend. I would definitely recommend this to groups or large families who are looking for comfort, convenience, and a good overall experience. I have no doubt that I would stay here again for future Austin trips if it’s available. Thanks for a fantastic experience! Ryan was a great host! I stayed in this unit for a Bachelorette Party and it was absolutely perfect. The location is very convenient and the size comfortably fit a group of 12 girls for the weekend. I would definitely recommend it to anyone planning a trip to Austin 8-12 people. And the pool was a big plus in the Austin summer heat! Ryan and Thomas were great to work with. They were extremely flexible and accomodating for our large group. They quickly responded to every question and even helped us bring our bags upstairs. The apartment itself is beautiful and very well maintained. We easily fit 11 people. It is also in the perfect spot in Austin. We walked across the street to do yoga and get coffee every morning and walked to amazing restaurants and bars every night. I can’t think of a better place to stay in Austin. We absolutley LOVED Austin, and loved the condo experience. Ryan provided us with information regarding airport shuttles, recommendations and even accomodated our group with an early check in. The process was seamless! I would recommend Ryan and this property to anyone! Great place in a great location! We had 8 guys and all fit nicely with 1 on the couch. The building often has people visiting for the weekend as we saw a couple other groups like us. Ryan and his associate Thomas were both prompt in responses and helpful. Would come back again. Ryan was great to deal with, came with group of 11 and place was perfect, in a great location for what we were looking for, close to restaurants, bars, downtown etc. This is an awesome spot for a weekend trip with a group. It is central to a lot of great food, bars and six street. There is plenty of space for a big group to spread out. Next time I head back to Austin, I will certainly stay here again. This place was amazing! I came to Austin for my sister’s bachelorette with 11 other girls. We fit perfectly! Also,the location was ideal. Everywhere we went was within a 10 to 15 minute walk (6th street and Rainey St as well as a ton of amazing restaurants) Ryan was wonderful to work with. He responded to questions in such a timely manner and ensured that we were set with everything we need. I totally recommend this place!!! Great experience! Ryan was very responsive and incredibly accommodating when I arrived in town a bit earlier than planned. The location can’t be beat – you are within walking distance to hundreds of restaurants and bars. Note – this does mean that it’s not totally silent at night. If you’re a runner or want some nature time, you’re 1/2 mile or less from great running by the river/lake. There is a great little balcony that is made fairly private by tall trees; perfect for reading outside, getting a bit of sun, etc. All but two of the bedrooms are very far from each other, so it’s an ideal layout for having a bit of privacy/quiet from your travel party. Ryan was a great host! The place was perfect for 8 girls. The house is in great condition and has enough room for everyone to have their own space. Ryan was very flexible with our check in and check out times which was a great help to us and our varying flight times. It is a perfect location for walking to everything. If there was anything we could not walk to such as the Austin “Welcome to Austin” mural or the Barton Spring Pool the bus was only three blocks away and cost $1. The house was incredibly clean when I arrived! It was awesome! Everyone on my trip was so impressed with the living arrangements. Great spot for an Austin getaway. Ryan was a great host and incredibly responsive and available at all times. The place is awesome for a large group and extremely centrally located. Ryan was so helpful, accessible, and accommodating. He helped take care of all the details the day before so that when we arrived, everything was very smooth. The condo was perfect – amazing location, clean, and comfortably slept our group of 10. Everyone had a blast, and having such a great place to stay really made all the difference in our weekend. We will be back and we will be staying here again! Thank you, Ryan! Me and my friends had a terrific time in Austin and in no small part to Ryan’s condo that we rented. It was the perfect distance to the bars, Barton springs and even had a Starbucks across the street which we visited to recover in the morning. The condo was tidy and equipped with everything we needed for the weekend festivities. Additionally Ryan helped me with numerous recommendations and when a problem that we had in Austin came up he was in communication with us to resolve it. I would chose Ryan and his condo if and when I come back to Austin and would recommend it to anyone. This condo was perfect for a long weekend in Austin. It was very well maintained with all the necessities provided. The 12 people staying at the condo were comfortable in the accommodations. There was a small issue with the water heater but Ryan was very quick in getting this resolved and taken care of. This is the perfect location to walk to the bars on E. 6th and cabs were readily available across the street to take us anywhere we needed to go. The condo was a corner unit and had keyless entry that helped a lot for managing a large group of people. Highly recommended. Ryan was very much in contact with me thruout the booking/RSVPing/checking-in process. Most everything about the apartment was as described and as depicted in the photos, although my group felt the kitchen was a bit lacking in amenities. (Dont expect there to be as much as a spice rack nor spray for your cooking pan — just plan ahead and bring in everything you’ll think you’ll need! We were also surprised to see a Keurig as opposed to a traditional coffee maker, and no tea kettle, but Starbucks is literally across the street (and Jo’s a few blocks away) so we satisfied our fix that way.) Otherwise, beds were comfy, there were plenty of fresh towels to go around, etc.. Plenty of room for the 9 of us to stay without being on top of each other or fighting for the bathrooms. The living/dining area was large enough and had enough seating for us to gather together to eat. The location can’t be beat — surrounded by food, drinks, and the downtown music scene. We were an industrious group and even made it deep into SoCo and over to the eastside of I-35 by foot. Would definitely consider staying here again if the occasion arose! Ryan was great. When we got there he stuck around and helped us get the lay of the land as none of us had been to Austin. He also helped my friends with a couple of surprises and even hand delivered a package halfway through the weekend. The place was immaculate and it was comfortable for the whole basketball team. This was the second of our group’s rentals from Ryan–and as promised, he was an excellent host! This location can’t be beat and our group greatly enjoyed their stay being right downtown. Ryan was the perfect host and made sure our every request was meet before, during and after our stay. He accommodated our request and was easy to reach for any questions we had during our stay. The convenient location across from the convention center was perfect for our corporate hospitality suite. We look forward to working with Ryan for our future events in Austin! Awesome location and Ryan was exceptional host! He was quick to respond to inquiries and was helpful when we realized we had booked a place with no elevator – 2 of our 11 group had trouble with stairs for medical reasons but we managed! Was really my fault for not clicking on ALL the tabs in the desciption to find where the elevator is not checked on the amenities list. Kitchen did not have everything needed – was missing large bowls, toaster, mixer, can opener, measuring cups, baking pans, kichen towels (except paper towels were provided), and potholders to remove anything from oven – made for some interesting challenges! The biggest item missing was coffee cups! Plenty of beds for the 11 in our group (family ages 2 to 54) but not enough living or dining space for more than 5 or 6 people in one area – living room had one couch and one chair that seated 4 at most – there was one additional couch located in the balcony but not conducive to large group gatherings. The living and dining area are open to each other so we could sit 8-9 people and still see each other – just not so good for having conversations. 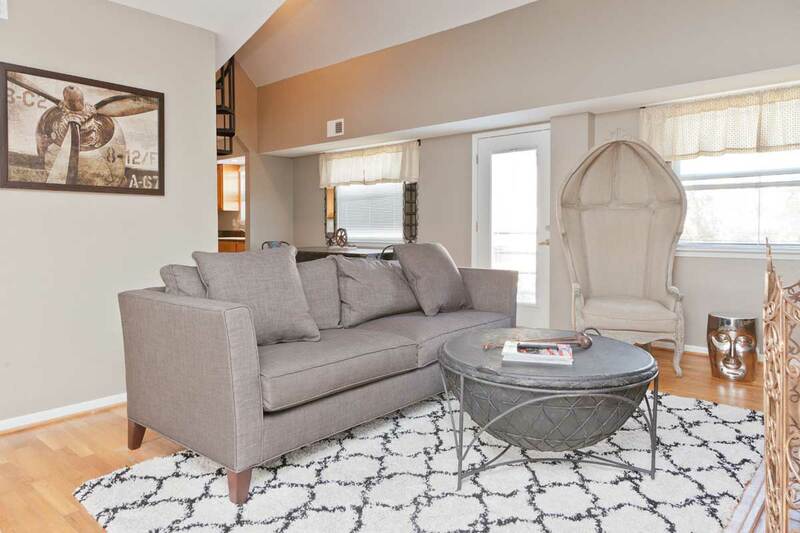 For a condo that has very restrictive noise criteria, having a large drum with the two drumsticks on it in the middle of the Living Room with a 2 and 4 year old was a huge challenge – not to mention the bells hanging on the mirror above the fireplace. Great place to stay if you are just sleeping and want to be close to everything! The fire station around the corner was also a busy one in the middle of the night! We stayed 4 nights – ran out of toilet paper on second day with only 3 full rolls and 3 partial rolls for 11 people in 3 bathrooms. Weather happened to be in the 40’s and 50’s – the upstairs balcony got all the heat and the three bedrooms downstairs got very little heat! There was a fireplace but nothing to burn in it. The Living Room TV had been wall-mounted where 2 built-in shelves were removed – the wall was never painted out to match. With 11 people, we also ran out of hot water fairly quickly with just showers – there is a oversized jetted tub upstairs that would drain the hot water heater for one person to use! All in all – was a great rental for the price and location – I would stay again and just know more of what to expect! Condo is probably more appropriate for groups just looking for a bed and always out somewhere else for meals and fun. With a few more of the missing details provided, I would definitely give this a 4 star! Ryan’s place was exactly what we expected. It wasn’t too fancy or nice, but had plenty of room for our group of 12. Ryan was extremely easy to communicate with, and had everything we needed to prepare for a great weekend in Austin. The location was perfect, and getting in and out of the complex/apt couldn’t have been any easier. I would highly recommend staying with Ryan if you have a large group and want a great downtown location. Unbelievable location and an extremely well kept unit with no clutter. No kinks, and communicating with Ryan was easy at any point. Would highly recommend this place to anyone looking for a good location downtown with access to everything.